Getting your Toyota oil change at factory recommended maintenance intervals is a great way to keep your Toyota running great and maintain its value. We can help you get on an oil change schedule that is right for you and your vehicle. Once you know how often your oil should be changed, stick to a schedule. It’s the single best thing you can do as a responsible car owner. If you’re due for an oil change, schedule service at Warrenton Toyota today. Oil gathers contaminants that cause friction when engine parts rub together. This wears your engine down quickly, and the damage is irreversible without a costly repair. Our Toyota-trained technicians right here in at Warrenton Toyota can quickly perform this service for you. 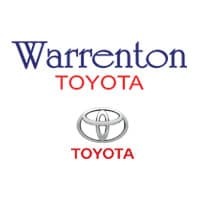 Schedule an appointment with Warrenton Toyota today.